Make of Plastic. 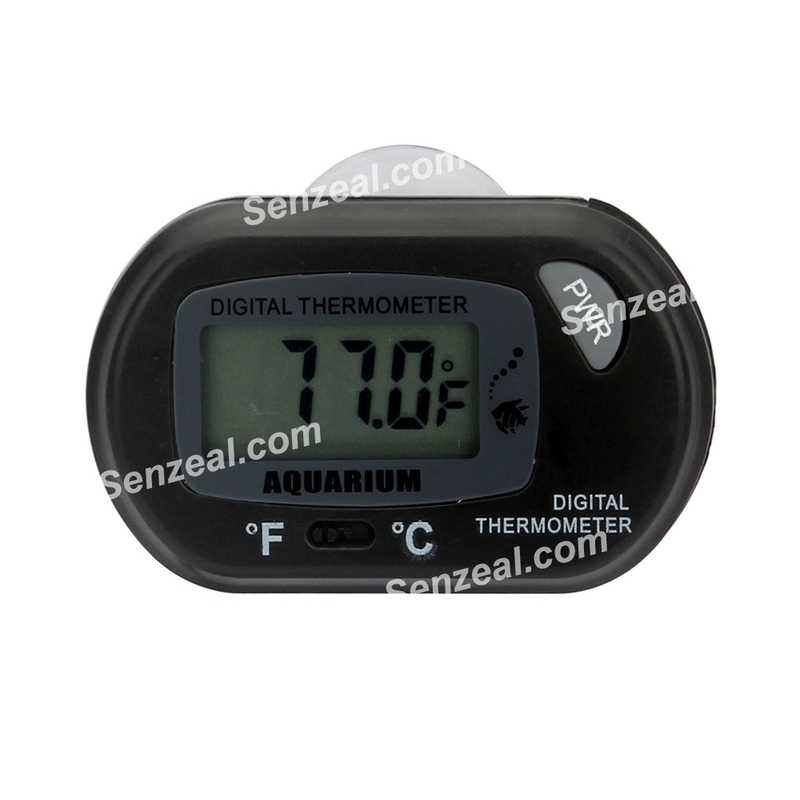 Thermometer with LCD, easy to read temperature value,easy to install, simple operation. 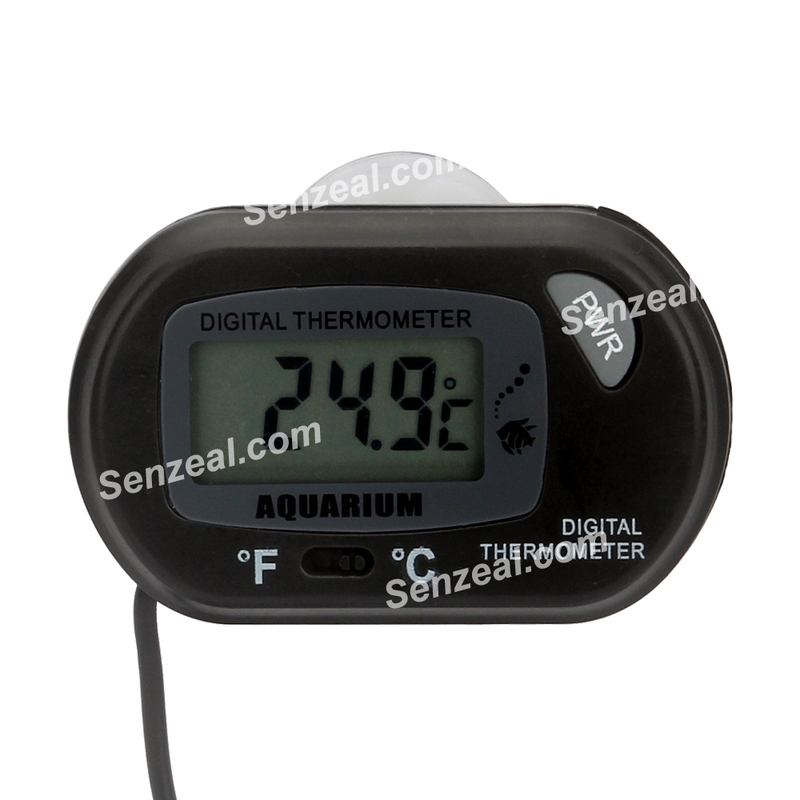 Put the probe into aquarium, LCD will shows temperature of aquarium, be perfectly for taking care of your fry, fish, shrimp and others. 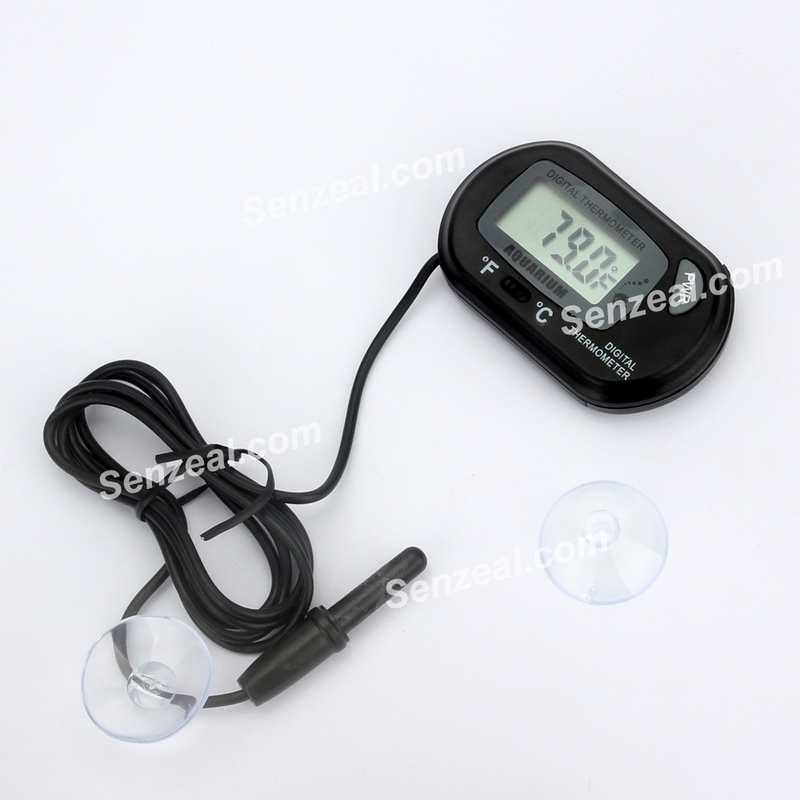 Battery: Come with a (DC 1.5V)LR 44 battery. 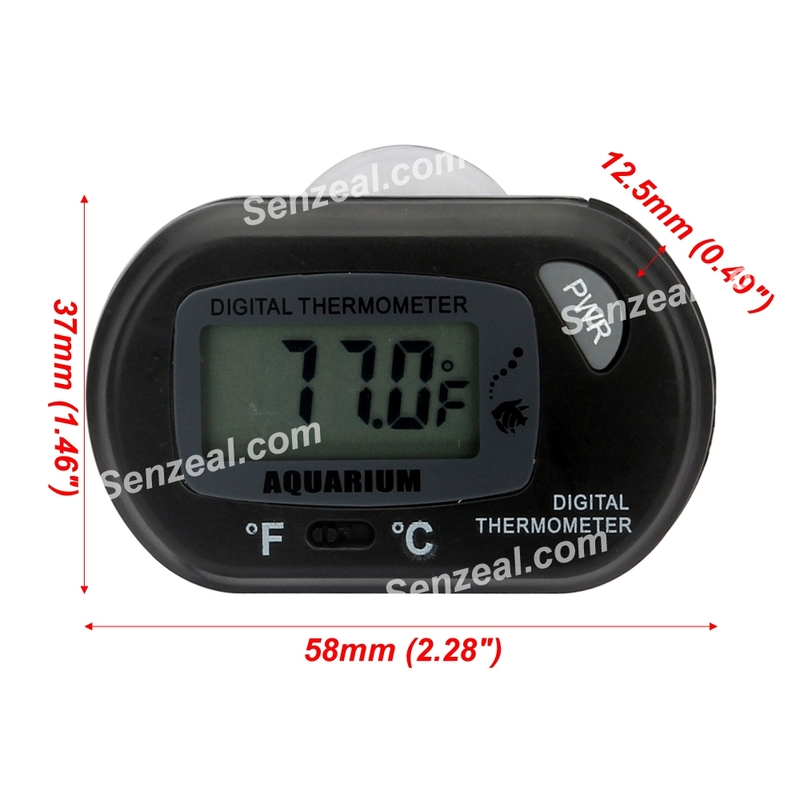 1.Digital thermometer readings to within 0.1°C,can be better protect your fish. 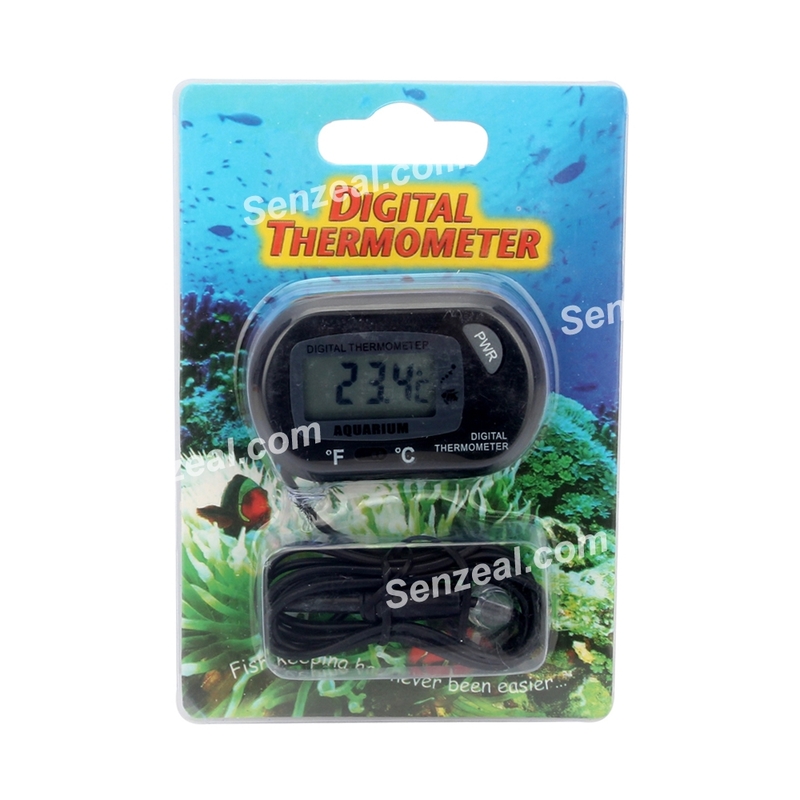 2.Thermometer is made up of non-toxic plastic, entertainment protection and durable. 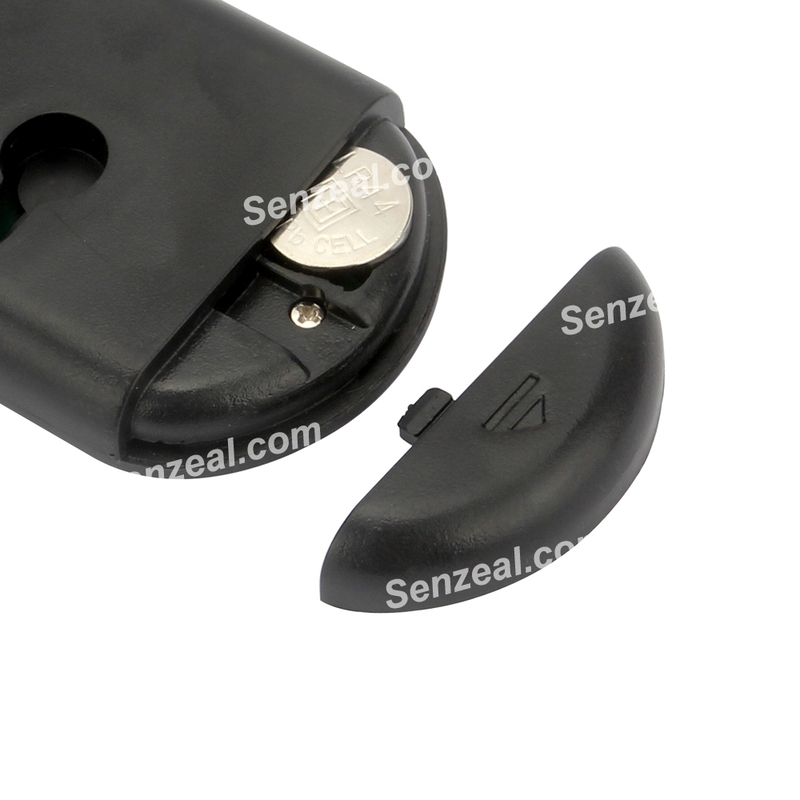 3.To preserve battery life press the PWR button for three seconds to power off or remove the battery. 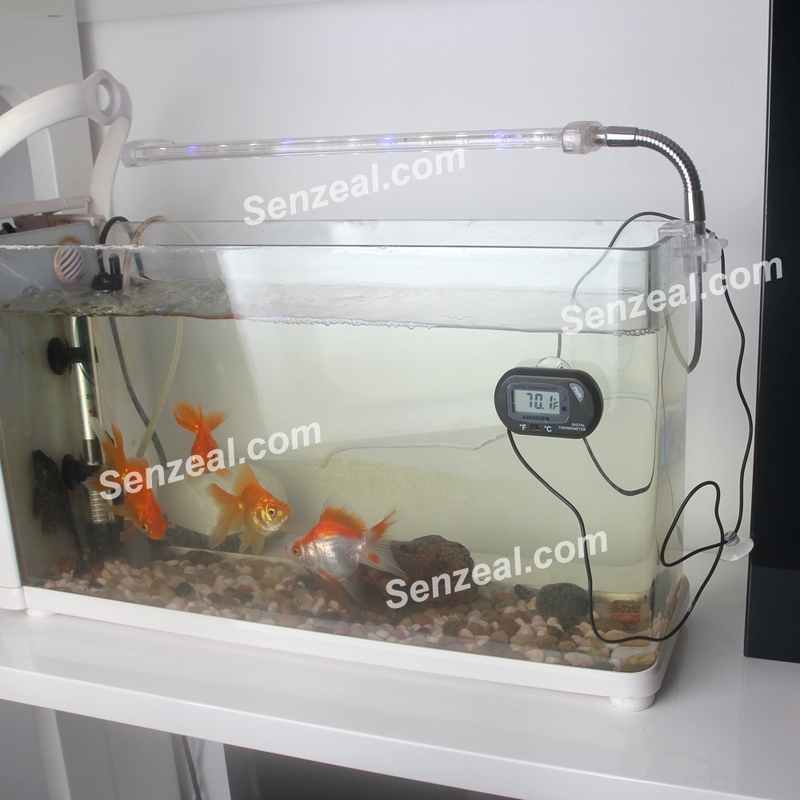 4.Apply to: aquarium, fish tank and aquaculture etc.